Thank you to CommercialSilk.com for partnering with me to bring you this post! Financial compensation was not received for this post, a sample product was gifted. Opinions expressed here are my own. 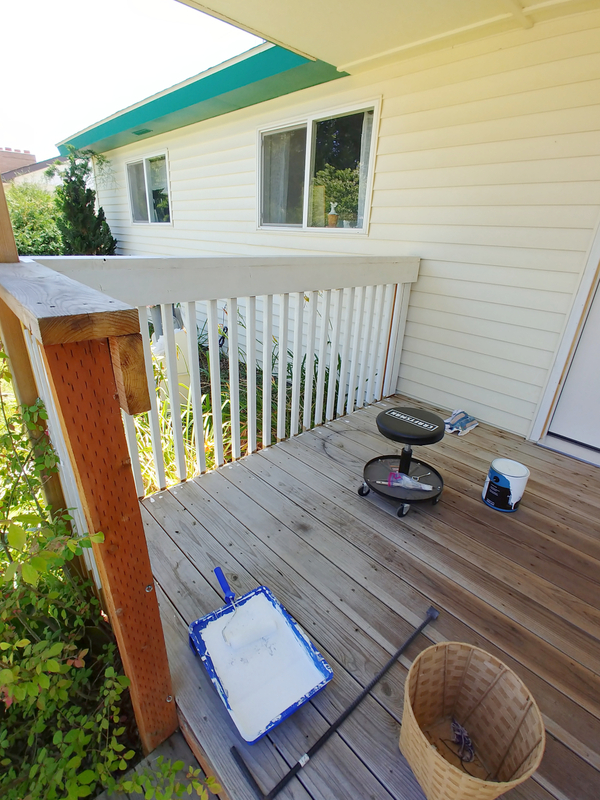 I mentioned a couple of weeks ago in the weekly chit-chat newsletter that I was working on painting my front porch. I finally finished the job... it was about 105 degrees the two weekends that I worked on this project and there are SO. MANY. RAILS 😩 I hated painting all those stupid rails but I pushed through and finally finished after about 3 coats of paint. 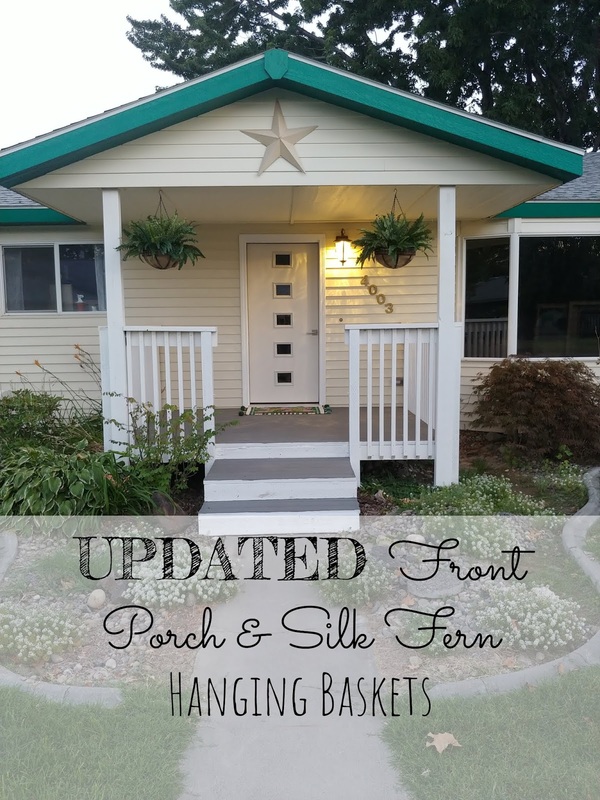 So today I'm sharing the updated porch and a special little project to spruce up that purdy new porch! 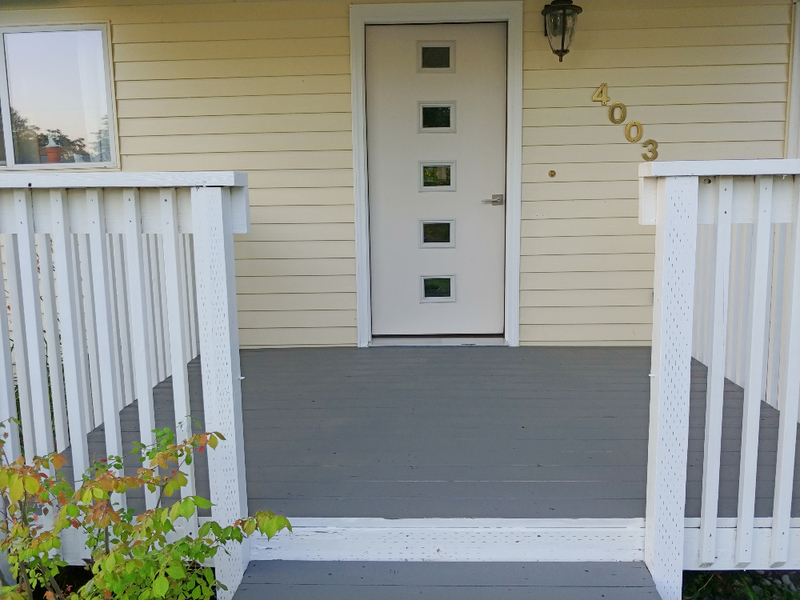 My house has this nice, pretty big front porch/deck but it was in serious need of either restaining or painting. 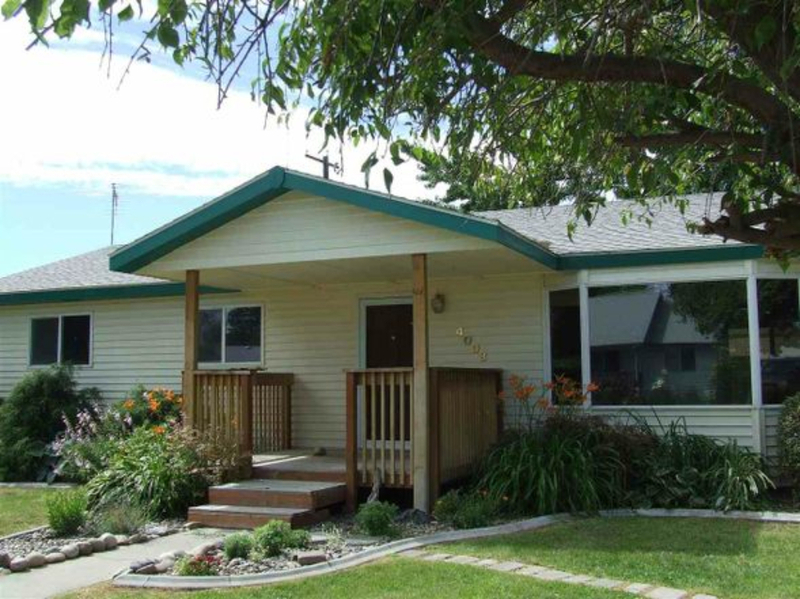 This is a picture from when I bought the house almost 4 years ago and you can see it needed it back then! Miss procrastination to the rescue!!! I finally decided to get 'er done! I washed it all down the night before and then started painting all. those. rails... after about an hour and a half, this is all I had done. 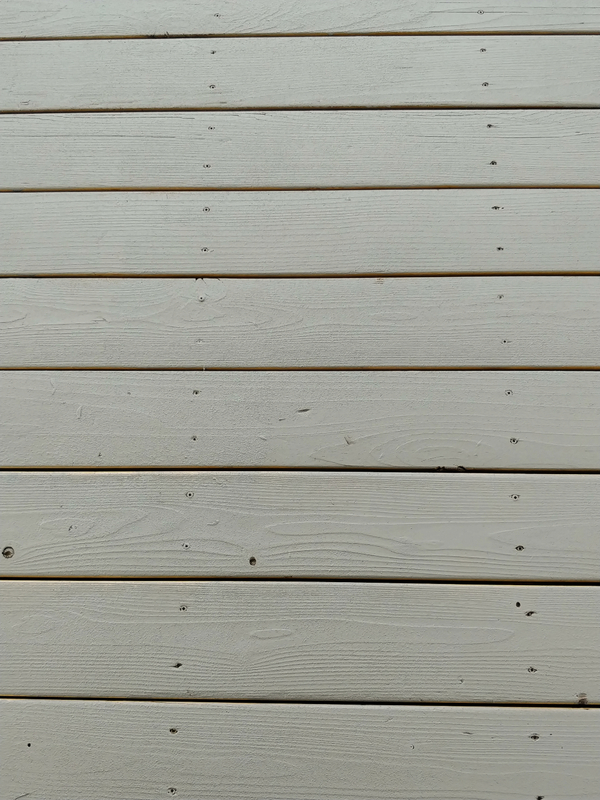 I used Behr Pure White exterior paint for the posts and rails and Behr Textured Deckover for the part you walk on. This is a textured, tintable paint and very thick. I did two coats. Now since my porch looks so fresh and new I wanted a little something to cozy it up and make it look homey. So it was perfect timing that I was contacted by CommercialSilk.com to see if I was interested in receiving something from their website in exchange for a review! 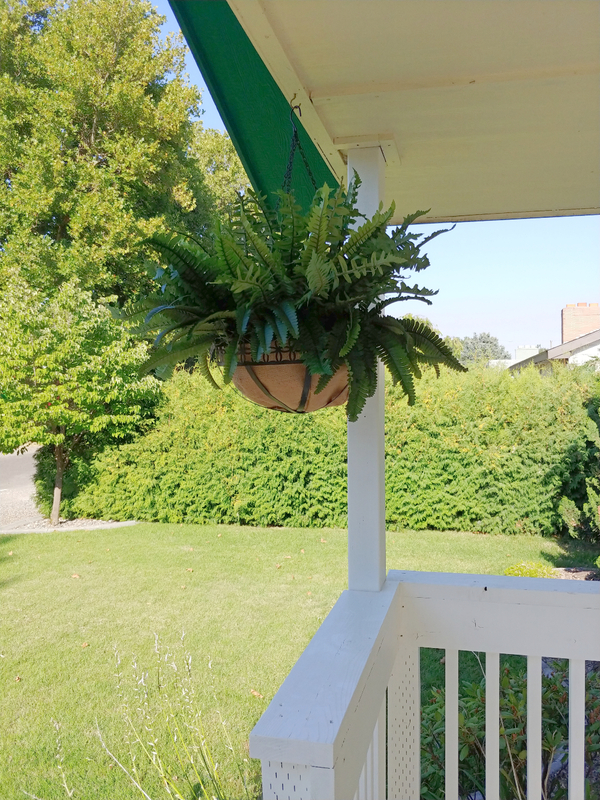 I chose a pack of six silk fern plants from their artificial plants section to make a set of two hanging fern baskets for my porch. 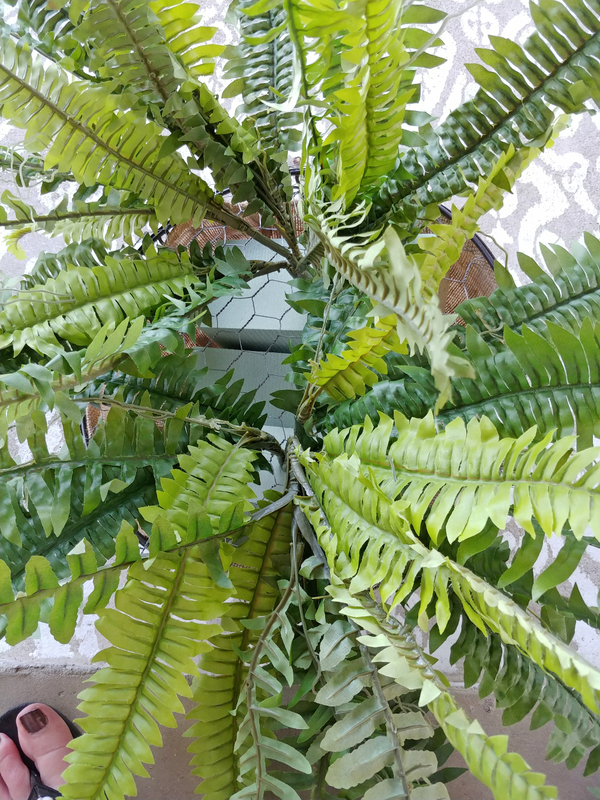 If you are wondering why I chose silk ferns as opposed to real ferns I have a couple of very good reasons! Reason #2 - I am lazy and forgetful and I know that I will forget to water real ones every day (ideally twice a day in this heat) and even if I did remember laziness would win out! 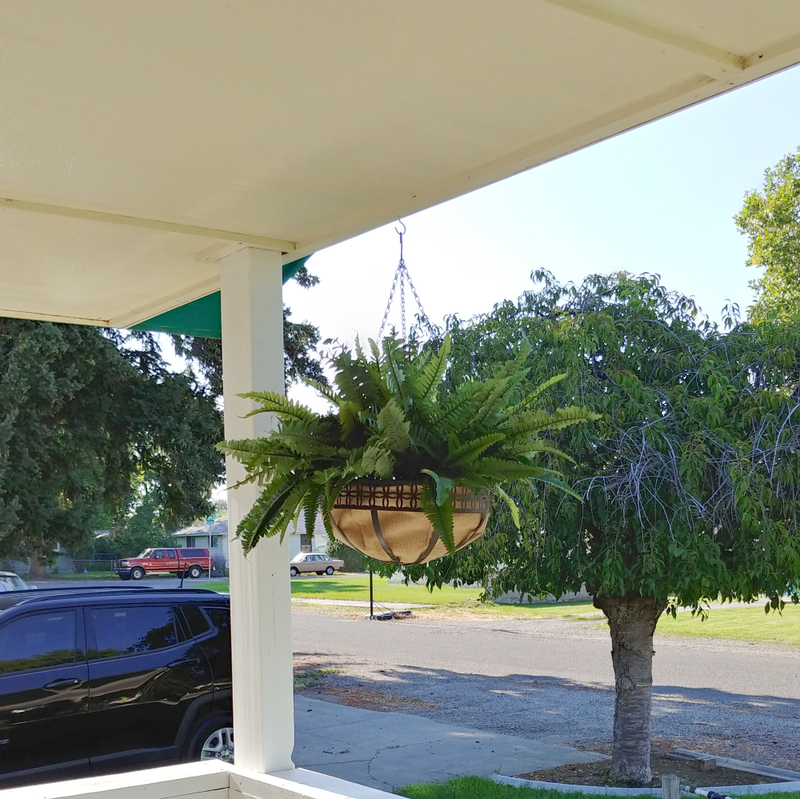 But I LOVE the look of lush ferns hanging on a porch and I have always wanted to have that but thought I wouldn't be able to! 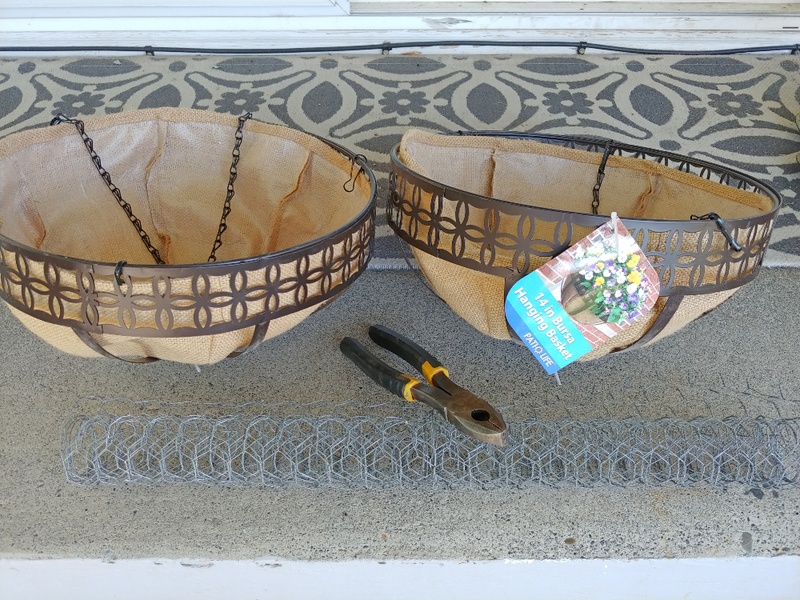 Here is how I made my artificial hanging baskets. I found my hanging baskets at Lowe's. I like the burlap liners rather than the coco fiber liners you usually see. 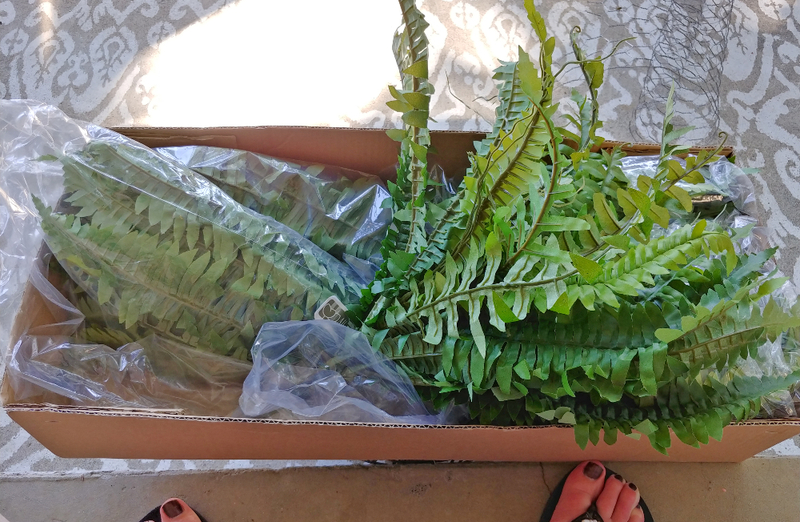 The silk plants I received from CommercialSilk.com are nice quality and arrived snug in their box, individually wrapped. 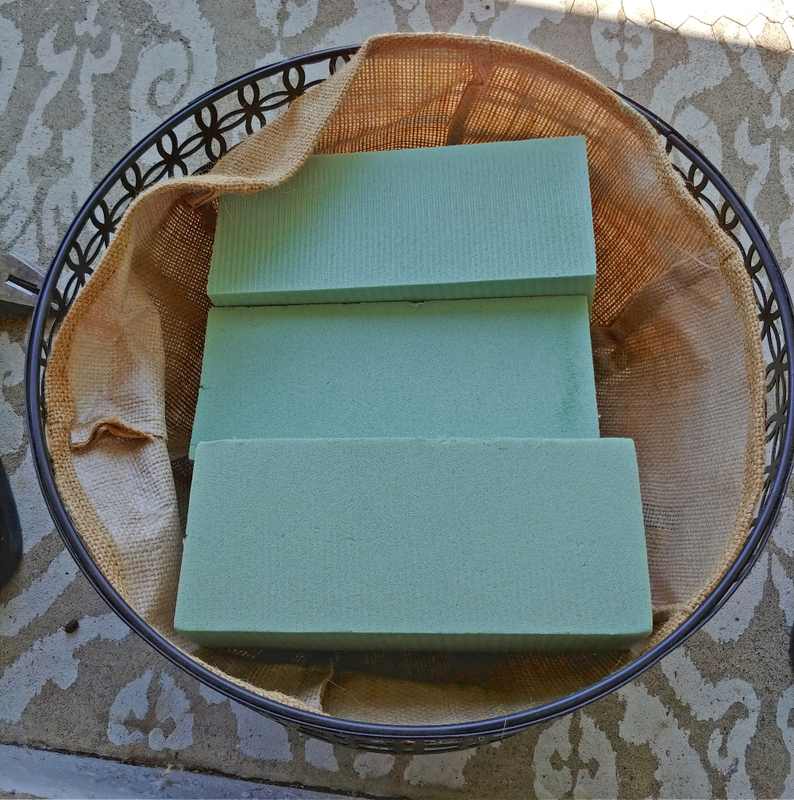 Put three of the floral foam blocks into each basket. 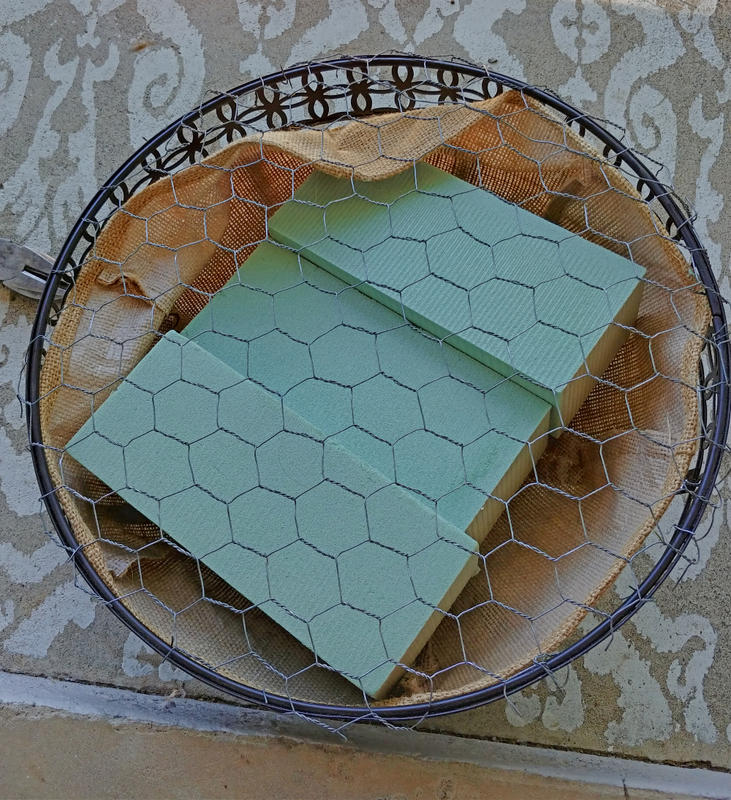 Since these are artificial baskets and there isn't dirt to hold my plants in I decided to use chicken wire to hold the foam blocks in the basket. I cut a circle of wire a little bit larger than the baskets and then bent the ends around the edge of the baskets. 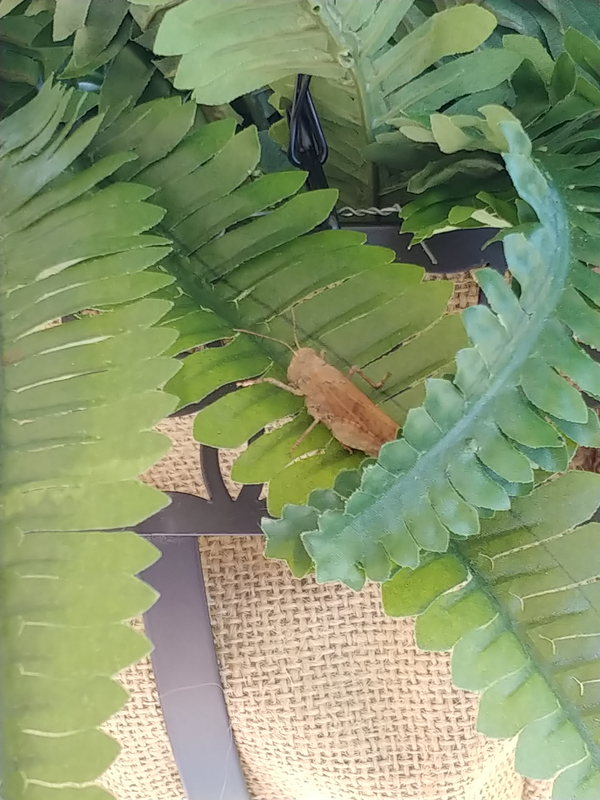 Start sticking the fern stems into the floral foam through the chicken wire. 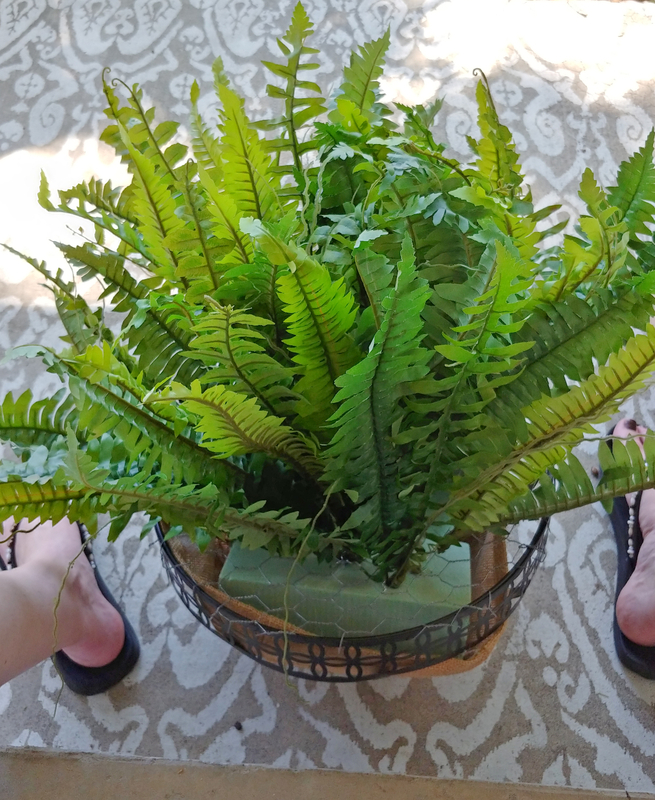 I received six ferns so I used three in each basket. 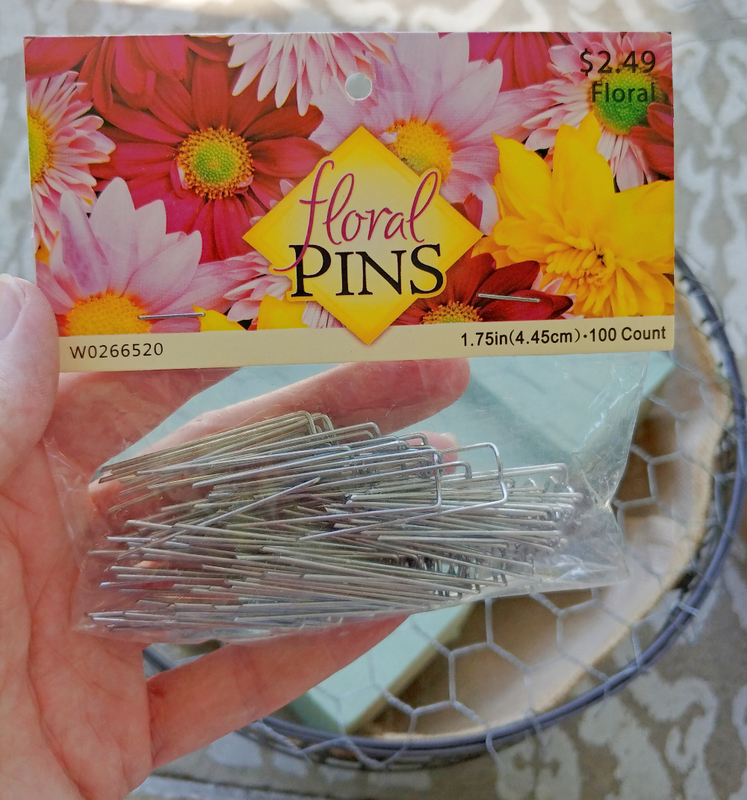 I used floral pins here and there to help keep the plants down in the foam. 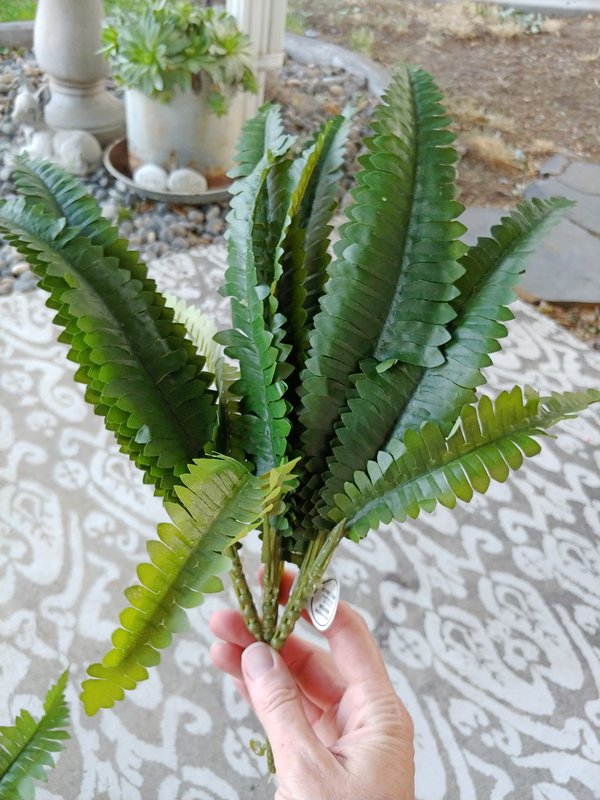 I did purchase a few smaller fern stems from Hobby Lobby to fill in a couple of blank areas around the edges. 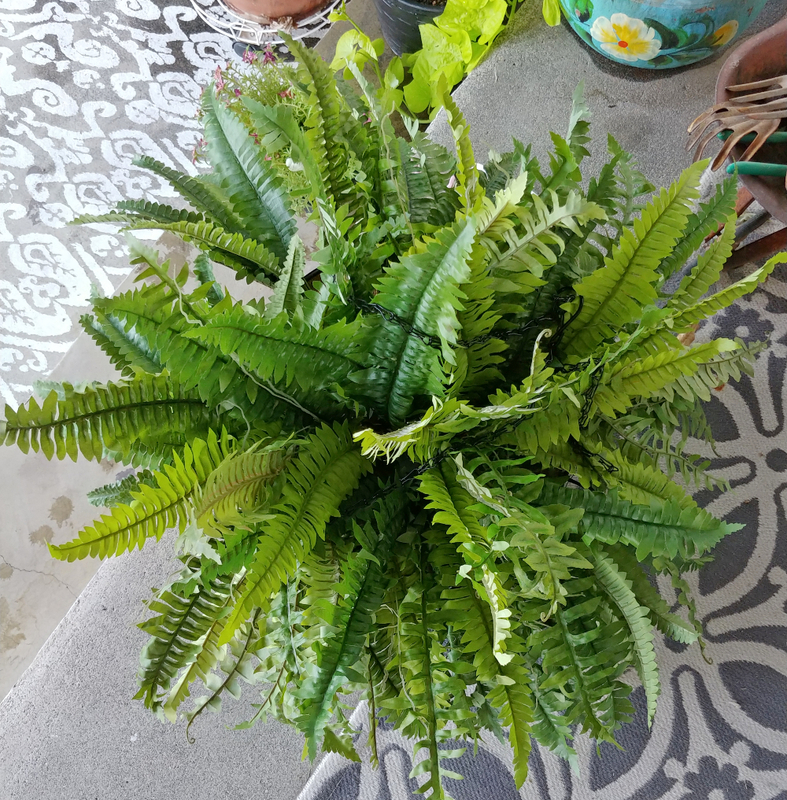 Once you have the ferns in the basket start bending and pushing the fern stems over so they look like they are hanging over the edge of the basket (and to disguise the chicken wire along the edge of the basket). I am really pleased with how realistic these look, they even have some of the fuzzy, curly fronds here and there! Right away a little grasshopper made himself at home! 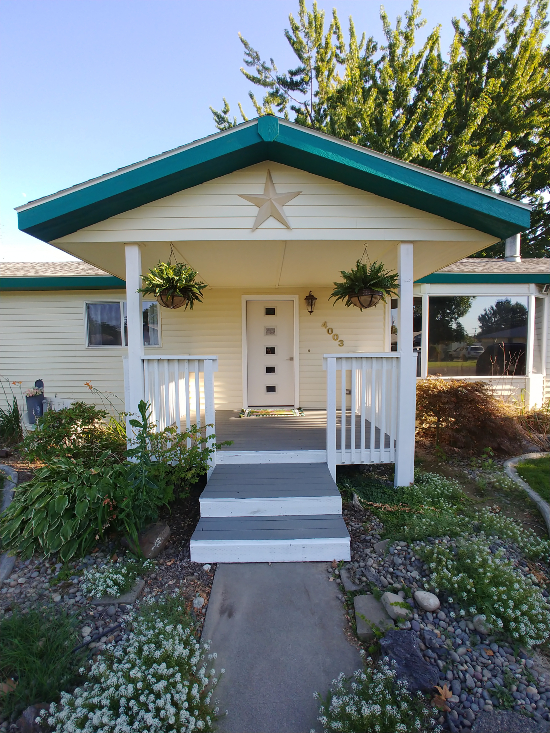 Don't pay much attention to the flower beds (or weed gardens) along the house, those are next in line for sprucing up! Here is another before picture... before the new front door was installed... before the porch was painted... and before the addition of the hanging baskets. 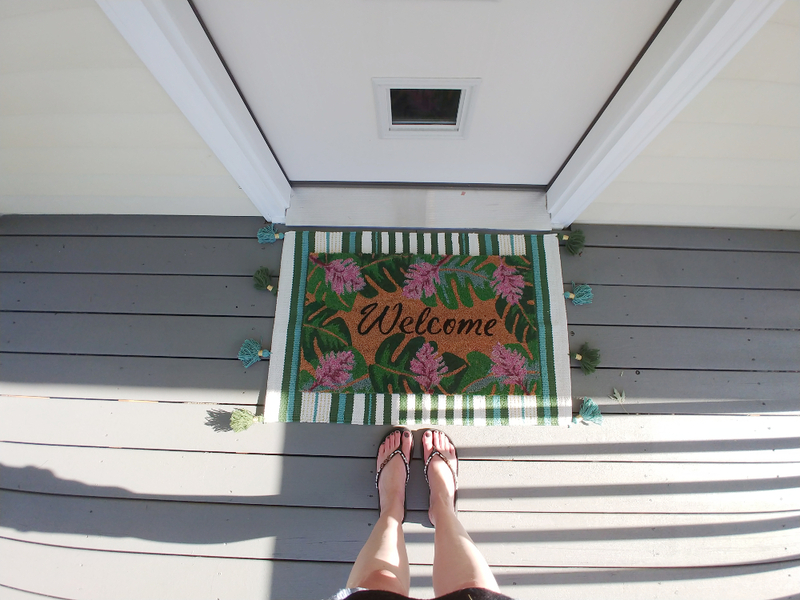 I also bought two new welcome mats to layer in front of the door, aren't they cute?! Now comes the fun part of adding some decor and picking a paint color for the front door! 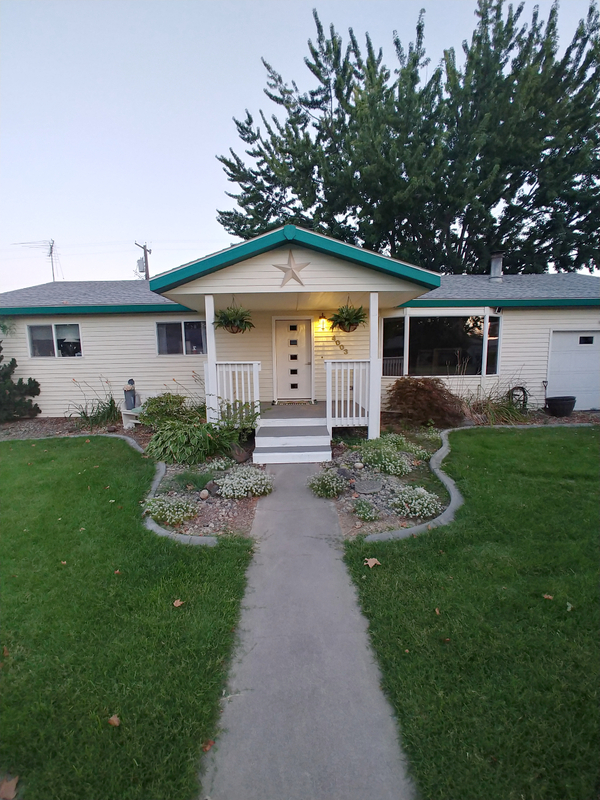 Eventually, I will be painting the green trim on my house but I doubt I get to it this year... maybe not even next year. 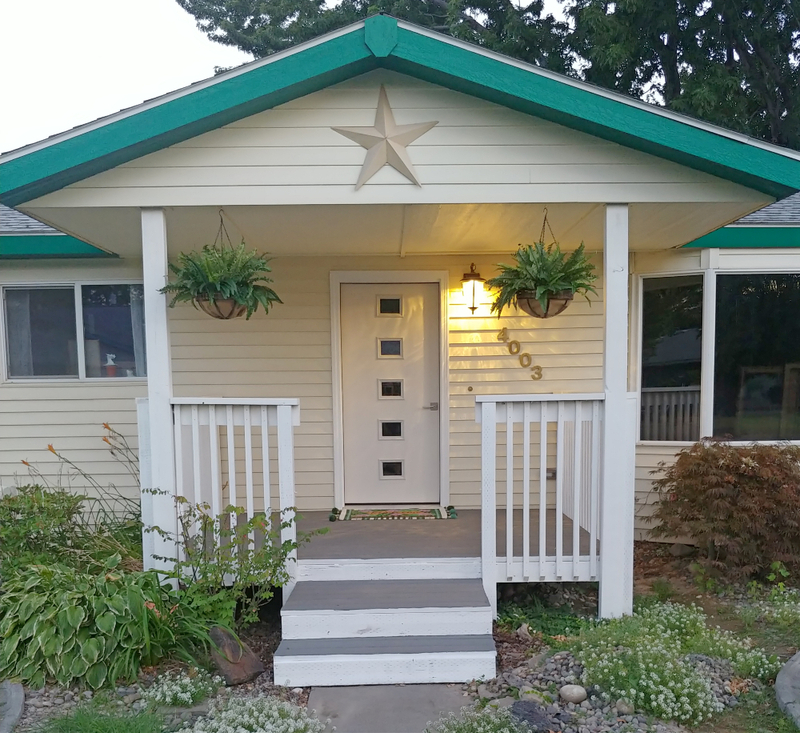 So, in the meantime, I'm thinking of painting the door the same green that I painted the back door - Painted Exterior Patio Door - Weekend Yardwork Series.